Eurocom Corporation (www.eurocom.com), a developer of long lifespan, fully upgradable Notebooks, high performance Mobile Workstations and Mobile Servers is now offering display calibration services at the time of purchase. Professional display calibration by Eurocom ensures customers receive a system that emits perfectly true to life colours. Since 1989, Eurocom has been offering a full line of upgradeable and customizable notebooks. 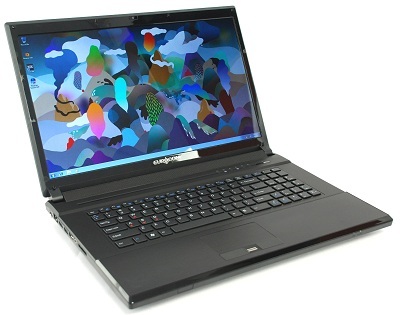 At the time of purchase Eurocom notebooks can be customized based on Processor, GPU, RAM, Storage Drives, Keyboard Language, Wireless Card, Optical Drive, LCD Display and now Display Calibration. A correctly calibrated monitor is ideal for designers, digital content creators, photographers, architects, and anyone who requires their computer to display perfect colours. “Having a correctly calibrated monitor can be the difference between night and day for users who need the colours on their monitor to be perfect. Our new calibration service option ensures customers have a display that meets their high performance hardware” Matthew Thompson, Eurocom Corporate Sales Manager. “At Eurocom, choices and upgradeability are key to our customers, display calibration is simply an evolution in our product offerings and in our mission to offer our customers exactly what they want.” explains Mark Bialic, Eurocom President. When configuring new Eurocom systems, customers can choose the exact display they need, then have the display calibrated by a Eurocom Professional Technician, who then saves the profile on a CD or USB Drive depending on the customer’s preferences. Saving the profile to an external storage device allows the customer to have a backup of the calibration profile. Eurocom Mobile Workstations are built with the professional user in mind. They are fully upgradeable with the highest quality components available to be long lasting and future proof. Eurocom Workstations are built like heavy duty trucks to be the ultimate in Mobile Computing. Eurocom combines the best in available technology to offer the ultimate in mobile computing. Computer Monitor Calibration is the process by which the user modifies the output of a display to more accurately reflect real life. Users calibrate their monitors to ensure that what is being emitted on their screen will be exactly what is reproduced. Correctly calibrating a display ensures the colours on a monitor are correct and provide an accurate representation of reality. For designers, artists, architects and professionals of all kinds, what they design on a computer screen must be realistically represented. Proper display calibration gives users the ability to trust the colours on the screen, for reliability and consistency. The following displays can be calibrated at time of purchase by an expert Eurocom technician.